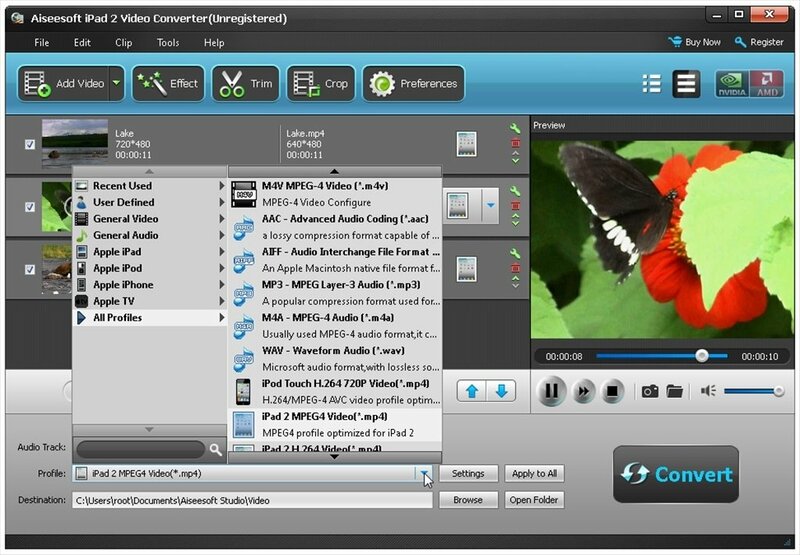 Aiseesoft iPad 2 Converter is a collection of three programs conceived to convert video and audio files to formats compatible with your iPad, the popular mobile device by Apple. 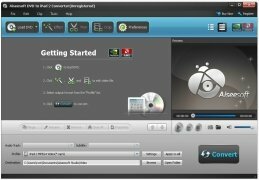 What is each program for? iPad 2 Video Converter can be used to convert video files. DVD to iPad 2 Converter is the solution designed for DVDs, while iPad 2 Transfer will help you to transfer files between your PC and the portable device. Convert video files and DVDs to iPad compatible formats. Transfer files between your PC and the Apple device. Includes an integrated player to preview your settings. If you're the lucky owner of an iPad and you want all your videos to be compatible with the device, you will have to change their format. With Aiseesoft iPad 2 Converter not only will you be able to do this, but you can also transfer your material in safe conditions. 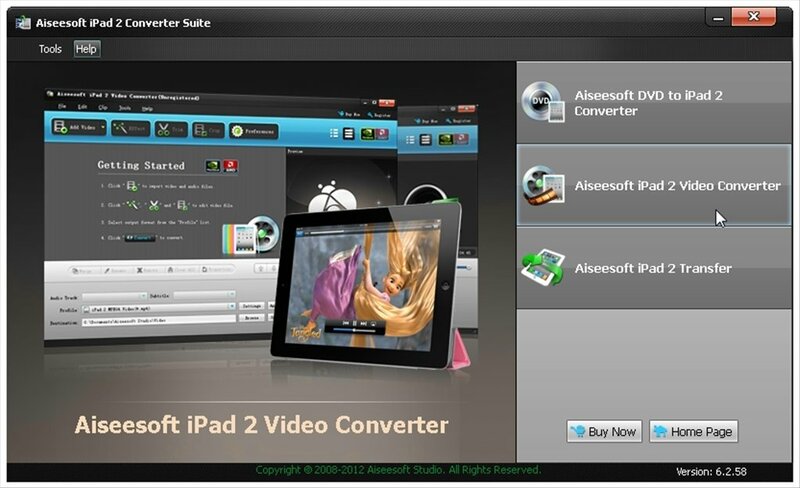 Download Aiseesoft iPad 2 Converter Suite. The trial version only allows a maximum of 5 minutes of video or half the file if its length is shorter.